This tea light holder was full of experimentation. 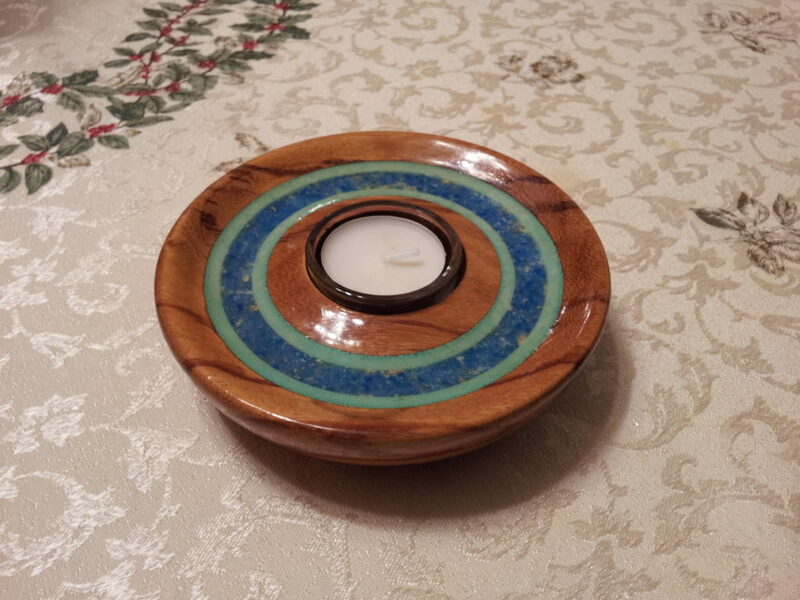 It came about out of my desire to turn a larger tea light holder; I also wanted to try multi-colored inlays in a project. In hindsight, the grain in this piece of marblewood should have been the star feature – sometimes you just don’t get it right. Mom still enjoyed this one, though.